PRO Club Bellevue offers a variety of great dining experiences. Whether you need to grab a bite on the go, meet someone for lunch or dinner, host corporate or personal catering events, or want to celebrate a special event, you’ll find it here. 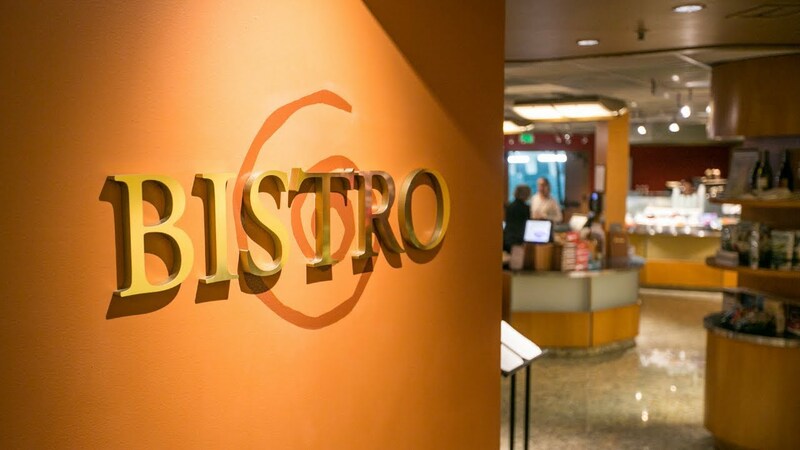 Located on the second floor of the club, The Bistro offers three different venues - casual family dining in the Tennis Galley, Full Service Dining in the Club Room. Plus, our healthy dining options make eating out guilt-free. Located on the main floor, The Café offers your favorite coffee beverages, smoothies, meal replacement shakes, pastries, snacks and other grab-and-go food items. Relax by the fire while you grab a quick bite to eat. 20/20 LifeStyles - inspired meals are available in all of our dining locations — providing you with healthy, delicious food ready to go when you are. Our chefs work with our registered dietitians to create healthy and delicious dishes using olive oil, fruits, vegetables and whole, minimally processed foods. Try the 21-Day or 28-Day Food Challenge to lose weight and take control of your diet with 21 or 28 days of healthy, freshly prepared meals and snacks. Whether you’re looking to cater a birthday party or corporate event, we have the perfect menu options for you.